he advanced technology in the lab equipment makes it easy for the dentists to examine and give a precise diagnosis of your dental condition. Our dentists take time to keenly listen to the patient’s concerns, worries, and specifications then advise them accordingly on the best course of action. If the treatment procedure a patient is interested is not ideal for their condition the dentist guides them on the next best solution. The idea of having to visit a dentist is not appealing to many individuals for different reasons. Every individual has their very good reasons that justify their reasons for not visiting a dentist as often as they should. The most speculated reason is the excruciating pain that many claims they will bear if they decide to undergo any dental treatment. This is a misconception as contrary to their imagination dental treatments can be painless and comfortable through the administration of anaesthesia or sedatives. Some fear the treatment will cost a fortune while some are just anxious on the sight of needles and other tools used in the treatment. Today dental treatments are easy on the pocket and for those complex ones, there are feasible payment plans provided at the Smile LA Modern Dentistry. We even work with some insurance companies who provide coverage for some of the treatments such as injury caused by accident. Anxiety, fear or worry should not hinder you from achieving that perfect smile that you have been dreaming about. All our treatment procedures are designed in a way that the patient gets the best out of the experience. They will be painless and comfortable. During most treatments, the local anaesthesia is administered but for very anxious patients sedation is the most ideal numbing procedure. Sedation allows the patients to sleep throughout the entire treatment procedure. For inquiries on the payment plans, the types of treatments available or even for second opinions feel free to dial our offices and we will respond to you accordingly. The complexity of the dental treatment being performed determines the rate charged. The simple procedures might be extremely cheap while some of the extremely complex procedures might require a patient to dig deeper into their pockets. The good thing is that for those costly procedures all the payment does not have to be paid in a single instalment; we offer manageable payment plans which are feasible to every individual. Having your dental health restored should not lead to financial constraints or cuts in your budget. We make the process as seamless as we possibly can. The Downtown Los Angeles free parking is an added advantage to our clients in addition to our high-quality dental services. 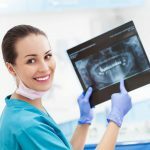 Where to get a Dental Crown in Downtown Los Angeles?